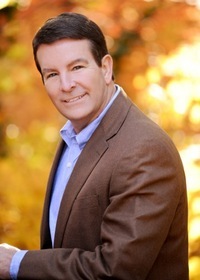 ATLANTA, GA--(Marketwired - Nov 13, 2013) - Dr. Thomas Lintner, a Marietta plastic surgeon, offers a wide array of surgical and non-surgical procedures, including breast augmentation, mommy makeover, liposuction, facelift, BOTOX® Cosmetic, and Juvederm® injections. At Advanced Aesthetic Surgery, Dr. Lintner and his staff have an equally diverse clientele seeking out these cosmetic procedures -- with ages ranging from their 20's to their 70's. In a recent blog post titled "Dr. Lintner Reveals The Popular Procedures For Each Age Demographic," Dr. Lintner broke down the cosmetic procedures trending at his practice by age group. His patients in their 20's tend to focus on breast augmentation while patients in their 30's and 40's shift their concerns to body procedures including liposuction or mommy makeovers. In addition, patients in this age group often begin to address the early signs of aging in their face with BOTOX® Cosmetic. Patients in their 50's-60's seem to focus the majority of their concerns to the face, seeking out mid-facelift, eyelift (eyelid surgery), and traditional facelift procedures in addition to dermal fillers such as Juvederm®. When asked if there are particular risks associated with older patients undergoing plastic surgery, Dr. Lintner noted that, although the risks are more or less the same for everyone who is healthy, there are a variety of aspects to explore. "As one ages, we have to take into consideration the risk of surgery versus the benefit of the procedure," says Dr. Lintner. "If you have a history of significant heart disease and your cardiologist put you at increased risk for surgery, then how important is it really to have a facelift?" Dr. Lintner spends a lot of time during the consultation process discussing pros and cons of any surgery to ensure the procedure will ultimately benefit each individual's unique circumstances. He says, in older patients as well as younger patients, the reasons patients are considering cosmetic enhancement treatment also plays a part in his consultations. "If their health isn't optimum, or if their motivation for surgery is to get on the cheer squad at high school...then we have to discuss things." While there are certain trends that emerge in each age group, Dr. Lintner says there is no blanket statement about who will make a good candidate for any given procedure. Some of Dr. Lintner's Atlanta plastic surgery patients worry that they are either too old or too young, though Dr. Lintner notes that he does not see age itself as a roadblock. Candidacy will vary depending on the type of procedure and the individual patient. "If an 8-year-old can have their ears pinned, why can't a 63-year-old get breast implants?" says Dr. Lintner. "I have done facelifts on 72-year-olds and I have done rhinoplasties on 18-year-olds -- it really just depends." Dual board-certified surgeon Dr. Thomas Lintner is a graduate of Georgetown University and earned his medical degree at Emory University School of Medicine. He works with the ER Services and the Medical Staff Credentialing Committees at Wellstar Kennestone Hospital where he also served as Chief of Plastic Surgery in 2005. In addition to authoring a variety of articles and delivering presentations in the fields of general and plastic surgery, Dr. Lintner serves on the executive board of the Cobb County Medical Society. He is available for interview upon request.